In the fifteen years we have been in the lawn application industry, there has never been a year as bad as this year for crabgrass. 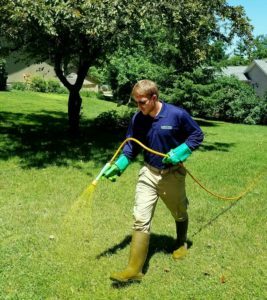 Over the last few weeks, we have received countless calls from people in the Cedar Rapids Area requesting estimates to treat the Crabgrass in their lawns. Many of whom had even applied an application of crabgrass pre-emergent earlier this spring. What is crabgrass, and why is it taking over so many lawns this year? 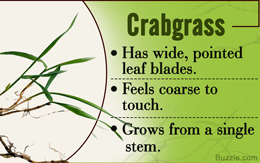 Crabgrass is the most common and problematic of all the grassy weeds. It is yellow-green to dark-green in color, and has multi-branched stems. It is also a full sun weed that can only take a little shade, which means that crabgrass is rarely, if ever in full shade areas. Being an annual weed, new seeds must take root each year. Crabgrass doesn’t have any problem spreading each year though, as each weed has over 150,000 seeds! We had an unusually early spring this year. Because of this, some of the pre-emergent was applied a little too late. Because pre emergent cannot stop crabgrass that has already taken root, this allowed crabgrass seeds to begin to slowly grow in the soil. Probably the best explanation has to do with the extreme weather we have been experiencing in Cedar Rapids lately. The extremely hot and humid days, followed by heavy rainfalls are a breeding ground for lawn diseases and pests. In some cases the heavy rain and the heat can break holes in the pre-emergent barrier. Is it possible to effectively treat crabgrass? Once crabgrass has taken root, the only way to treat it is to use a post emergent. One of the most effective crabgrass post emergents is quinclorac. Once the herbicide is applied to the weed it will slowly begin to turn brown and die. Usually the weed is completely gone within a few weeks. 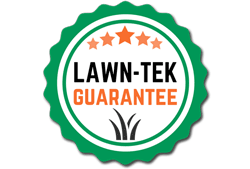 Does Lawn-Tek Treat Lawns with Crabgrass?